A handful of veteran players have spoken up this offseason, both directly and indirectly, about the state of free agency in recent years. We've heard from Peter Moylan (link), Collin McHugh (link), Justin Verlander (link), Dallas Keuchel (link), Jake Arrieta (link), Evan Longoria (link), and Buster Posey (link). You can add Giants starter Jeff Samardzija to the list. 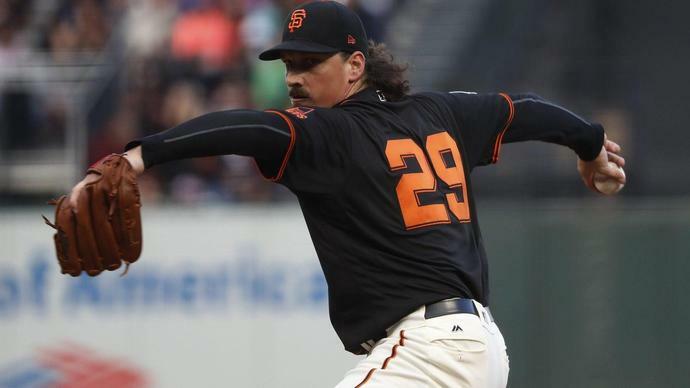 Alex Pavlovic of NBC Sports Bay Area spoke with Samardzija at Oracle Park on Friday morning about the state of free agency. Samardzija said, "We're going to have to get arbitration moved up a year earlier and get guys to free agency earlier. It seems like there might only be one way to get that, but we'll see. Hopefully it doesn't come to that because we want to keep the fans happy. We want people coming to the stadium and watching a great product, but they need the best product available, and having 50 guys sitting at home that are big league players is not the best product." Samardzija continued, "You know, striking is the last thing you want to do, but you have to be willing to do it. But I think there are other things before then that can get the ball going the right way." The crux of the issue is that baseball players are severely underpaid for the first three years of their careers, then underpaid for the most part over the next three years before reaching free agency. Because all 30 teams are involved to some degree with analytics, they know that a player's best years are typically behind him, or they may only have one or two more predictably good seasons by the time he reaches free agency (with a few exceptions) . As a result, players who thought they would finally be making money commensurate with the value they have provided are no longer finding those contracts. Hence why spring training has just begun and the likes of Keuchel, Craig Kimbrel, Adam Jones, and Marwin Gonzalez have not yet been signed. Allowing players to reach arbitration eligibility a year sooner - and, ostensibly, free agency a year sooner - is a step in the right direction. It would not be a panacea. The competitive balance tax gives owners an excuse to implement roster austerity. The incentives for a team to fully commit to rebuilding (e.g. better draft picks) outweigh the drawbacks. The spoiling of free agency has caused young players to sign long-term contract extensions just for the financial security. MLB has been setting revenue records year over year, including $10.3 billion in revenues in 2018. However, as Maury Brown of Forbes reports, players saw their second-lowest cut as a percentage of revenues since 2006. Per Brown's numbers, the '06-11 period ranged from 56 to 57.4 percent, then dipped to 53.8 percent in 2012. It ranged from 55.4 to 57.7 percent from 2013-17 before dropping to 54.8 percent last year. When we are talking about billions of dollars, a percentage point or two makes a huge difference. Samardzija is right that players have to wield the threat of a strike to swing the balance of power back towards the middle or in their favor. The players' leverage in collective bargaining is only as strong as their willingness to withhold their labor.